AT LAST ... I have waded through the plant database bed by bed checking that everything from last year has at the least a photo, an 'in' date and an 'out' date. This may not sound like a big deal but believe me with erratic records it was a massive task! Well this means we are now ready for Karen to do the next level of 'grooming' to add the 'top level' info for these plants (Latin Names, if you can eat them etc.) 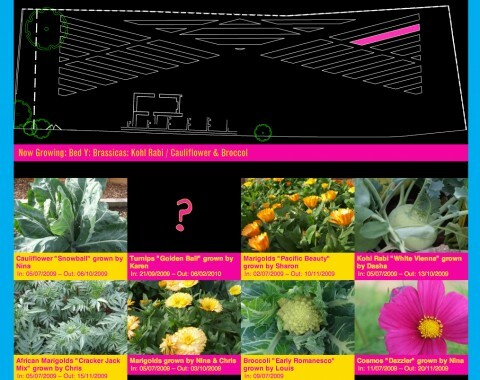 which will (we hope) eventually let us build up a page of our stock plants with links to recipes etc. This also means Dorian can now make the transition to this season's database with only perennial plants (or those we have still to remove) carrying over and with our first season archived. This also means we have to label everything this year and add it as we go along :-( ! If you are still not sure why read Karen's excellent post from a while back here.